Upon first glance, a tea bush does not appear to be particularly enthralling. To the naked eye, it is merely some leaves supported by short stocky trunks spanning across acres of land. For the trained eye however, this is a plethora of opportunities across a diverse range of expertise that circles around tea. 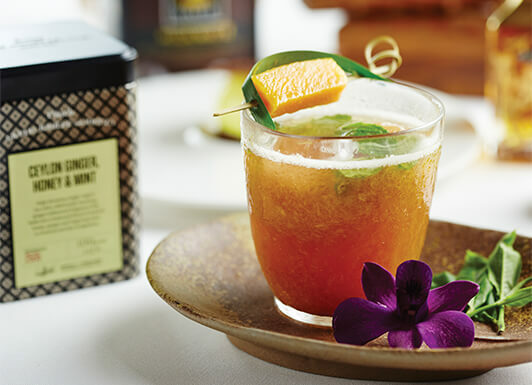 Dilmah’s introduction and implementation of tea gastronomy and mixology are two subjects that have captured and intrigued the hearts and minds of tea and culinary enthusiasts all across the globe. The former deals with the use of tea as an ingredient in food, with chefs from Dubai, Australia, New Zealand, Hong Kong, Thailand and Malaysia (to name a few), flying in to try their hand at a tea inspired recipe. This venture gave way to a whole new chapter opening up new avenues for chefs to experiment with, resulting in some of the most unique cuisine discovered yet, striking on the palate in a memorable way. The latter, mixology, is involved with the use of tea as an infusion in drinks, be it a mocktail or a cocktail. Ordinary drinks were given an extraordinary spin with Dilmah’s ingenious initiative, and quickly expanded into menus and kitchens everywhere. With a tantalising array of delicious recipes, mixology can in fact be considered an art form, a talent which only a select amount are privy to. Robert Schinkel, Dilmah Tea Sommelier is a world famous mixologist hailing from the Netherlands who drives the concept of mixology not only at Dilmah but also at culinary events worldwide. Driven by his passion for this area of work, Robert focuses on innovation and produces concoctions that are highly successful. Mixology and gastronomy make a healthy and diverse marriage. Tea gastronomy has paved the way for yet another delightful branch coined ‘Tea Pairings’ which is an eclectic fusion of flavours. Enter into a new world of tea.